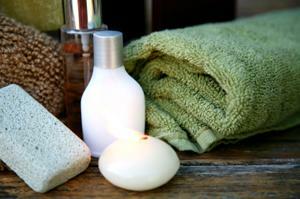 Organic beauty products are a hot market for a home business. Are you looking for an organic beauty products home business? As the popularity of natural health and beauty products increases, there are more opportunities for you to work at home selling organic products. MiOneGroup is the main business that you will run into when you are looking for an organic beauty products home business. That's because different business owners all have individual websites with different names, and there seem to be a lot of them. This is a business that sells organic skin care and cosmetics products under the name Miessence. It claims to be the first extensive range of internationally certified organic skin, hair and body products. The products are all said to be of superior quality, organic ingredients with no chemical extras like colors, pH adjusters or preservatives. They are produced without the use of genetically modified organisms and include many natural oils and other products instead of chemicals you can't pronounce. The business uses what they call a multi-channel enterprise system, allowing entrepreneurs to sell directly to customers, to stores or as a fundraising program, as well as recruiting new members. Different organic beauty products home business models will vary, but the One Group model is a good example of how to get started with one of these businesses. First, you have to sign up to be a representative of the company, which involves a one-time fee of $60. Then you must set up a monthly order in order to receive bonuses from the company. This requires you to spend about $65 a month, either on the same products each month or different products you go in and order by hand. You can use these products yourself, resell them, give them as samples, or do whatever you like. In addition to your regular monthly order, it is recommended that in the beginning you place an order of about $300 worth of products. However, the actual value may vary as this is measured by "personal volume" points rather than dollar amount. You can use these products any way you want, although many people choose to build up an inventory as a business boost. The benefit in doing this is that it gets you promoted to "senior associate," getting you bigger bonuses once you actually start selling products to other people. After that, you choose the marketing methods you want to use and train yourself in the industry as well as about the products and the business model, and you're ready to start selling. There's no doubt that the organic category is growing by leaps and bounds. Just look at organic produce-you used to rarely see it in mainstream grocery stores, now it is almost everywhere. While no business is a guaranteed success, if you are motivated to sell and to get people to join up to sell themselves, this can be a good opportunity. However, there is a fair bit of investment on the front end. In addition, these products won't sell themselves, no matter how slick the ad campaigns are. You have to really know what you are talking about in terms of the benefits of organics and what these products do before you will be able to sell them. You need to know people who are interested in organic beauty products-or at least know where to find them-so you can talk to them about the products and perhaps give them samples. Starting any kind of home-based business is not as easy as the people make it sound. But, that doesn't mean it's impossible to make money this way. If you are willing to work hard in the beginning and are excited about sharing these products with others, there's a good chance you'll be a success.